I think I may just have been very lucky, in case I managed to secure my future job by being the only reference they needed (in addition to a rather lengthy academic CV, meetings and an interview)..
For all the effort and ink, what, as readers of references, do we hope to find? Only this: is the candidate better or worse than it appears from their CV? Well, no one is going to say: watch out, we should never have admitted this person to our PhD programme and the thesis only passed because the supervisor more or less wrote it. So that’s half the reason gone. And we probably won’t trust a referee who raves on and on. So the other half bites the dust, too. 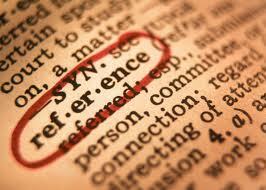 Hence the value we get from academic references is minuscule compared to the effort involved on all sides. via Academic reference inflation has set in, and everyone is simply wonderful | Jonathan Wolff | Education | The Guardian.